Unfortunately her well meant advice didn’t have much effect on me. My tendency was to choose fun over a boring task at all times, and this is still holds true for me today. Oh my gosh, I am such a procrastinator but in a good way if you know what I mean. 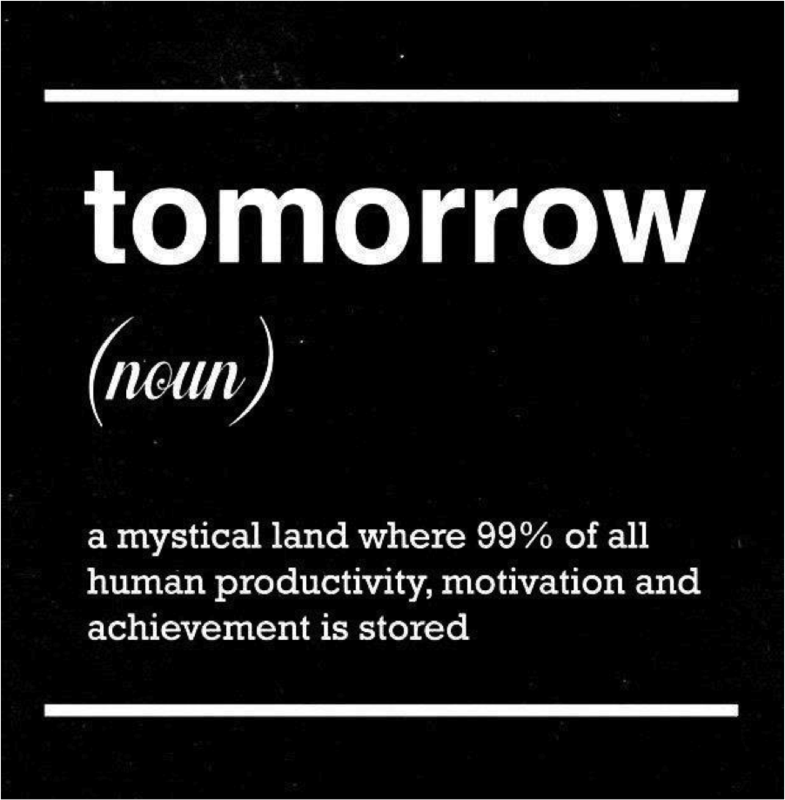 I have come to terms with it because I have learned to reframe my procrastination as a hidden talent. Would you like to know how I have managed to recognize that procrastination is actually one of my strengths? The ability to pack for a trip last minute and without forgetting anything – ever. My clothes are never prepared for the next day but I still tend to be ready faster than most people. The skill of designing a new workshop within a day by walking mentally through it before putting it together in no time. Focusing on the task closer to the deadline may cause stress but for me creativity and efficiency overrule stress. Having fun while being productive is a skill. Turning stress into positive energy is energizing. Mental flexibility is helpful in completing a task. I do believe the reason this works well for me is because I am a “procrastinating overachiever”. Imagine! Despite procrastination I still get more done than the majority of people I know. I set my goals for the year and for each month in January. My goals are broken down into achievable action steps every week. Weekly goal review is a must. I write down every Friday what I have accomplished during the week and what’s the plan for the next week. I don’t beat myself up whenever I am delayed with a project (as long as it doesn’t affect the client). The celebration of what I get done instead of focusing on what don’t get done was a game mental changer for me. What if everything you do right now just needs a little bit of mental reframing to make you feel good about yourself? Celebrate today because it will make for a better tomorrow. Guaranteed! Get ready to tap into your awesomeness because you deserve it.